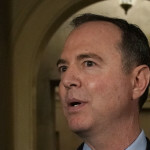 House Democrats will take action on the floor this week to condemn anti-Semitism, a vote designed to confront Rep. Ilhan Omar’s (D-MN) language in her latest criticisms of Israel, which has been widely considered anti-Semitic. 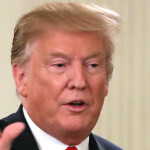 President Donald Trump weighed in on the controversy surrounding a freshman Democrat and her use of language that’s been widely condemned as anti-Semitic in her critique of Israel. 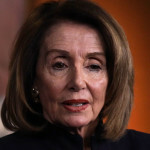 House Democratic leaders are currently crafting a resolution condemning anti-semitism in response to comments from Rep. Ilhan Omar (D-MN) which have been criticized as anti-Semitic by some of her colleagues, Politico and The Hill reported Monday. 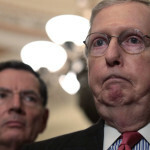 Senate Majority Leader Mitch McConnell (R-KY) acknowledged on Monday that a resolution to block President Trump’s border wall national emergency will likely pass the Senate. 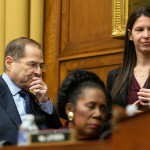 House Judiciary Committee Chairman Rep. Jerry Nadler (D-NY) accused Rep. Jim Jordan (R-OH) of anti-Semitism on Sunday for a tweet bashing Nadler, who is Jewish, and linking him to conservative boegeyman billionaire Democratic activist Tom Steyer, whose father is Jewish. 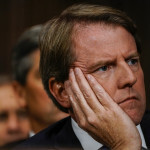 Former White House counsel Don McGahn is rejoining his old law firm, Jones Day this month, The Washington Post reported. 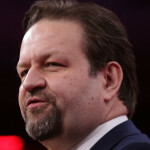 Conservative pundit and former White House official Sebastian Gorka is no longer a paid contributor at Fox News, the network confirmed to TPM Monday. 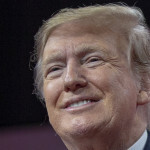 President Trump suggested in a tweet on Sunday that the timing of his former attorney Michael Cohen’s testimony before the House Oversight Committee “may have contributed” to failed denuclearization talks between the U.S. and North Korea.